Think Italy, think supercar. Or should you? In an age where 4x4s command such a high percentage of vehicle sales, even traditional sports car brands have had to broaden their horizons into unfamiliar territory. 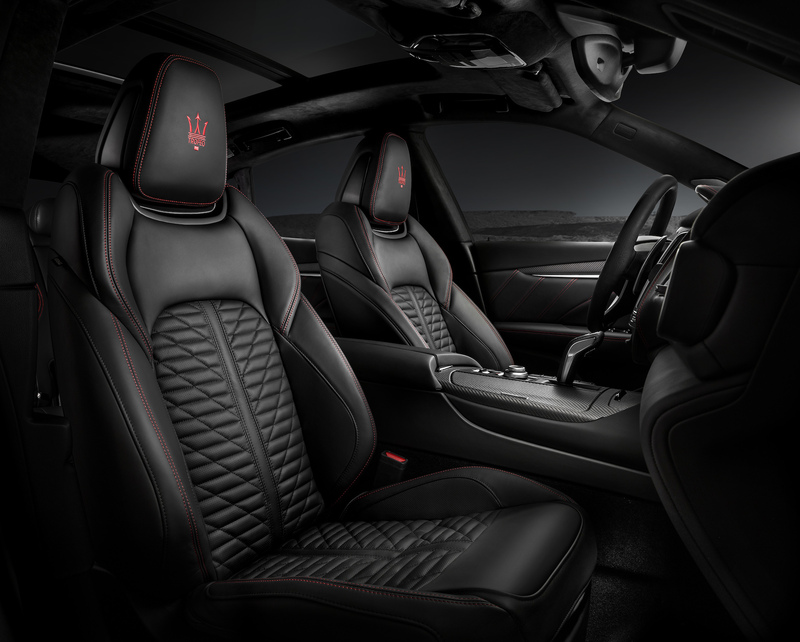 Maserati is used to making fast and elegant sports saloons and coupes, traits that rarely transfer easily into SUV guise. 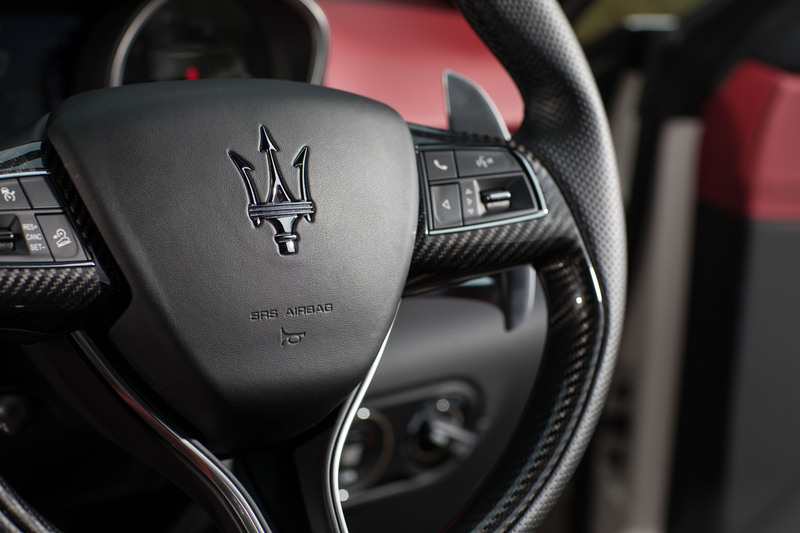 But seeing as the Italian firm has identifed that 57% of the luxury car market is made up of SUV offerings (and only 6% for sports cars), it makes sense to dip a toe in the potentially lucrative pool. It worked for Porsche, after all. Enter the Levante. Riding on the same platform that supports the Ghibli and Quattroporte, this Range Rover Sport and BMW X6 rivalling SUV uses Maserati’s Q4 AWD system and comes with one of two 3.0-litre twin-turbocharged V6 engines. You just choose which fuel it drinks. 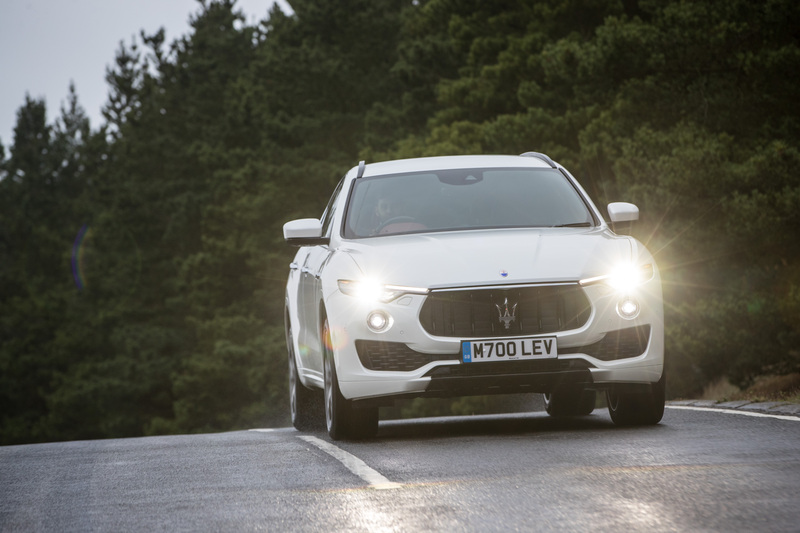 All versions of the Levante use an eight-speed ZF auto, while any powertrain you opt for is hardly short on oomph. The diesel has a cool 275bhp and it’s all very smooth, civilised and adequate. 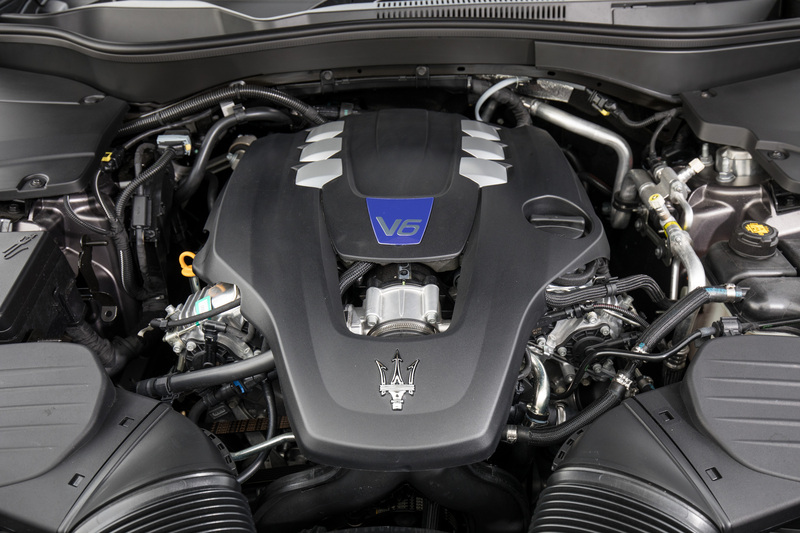 Plus, Maserati has worked its harmonic genius so that even the diesel sounds pretty gorgeous. 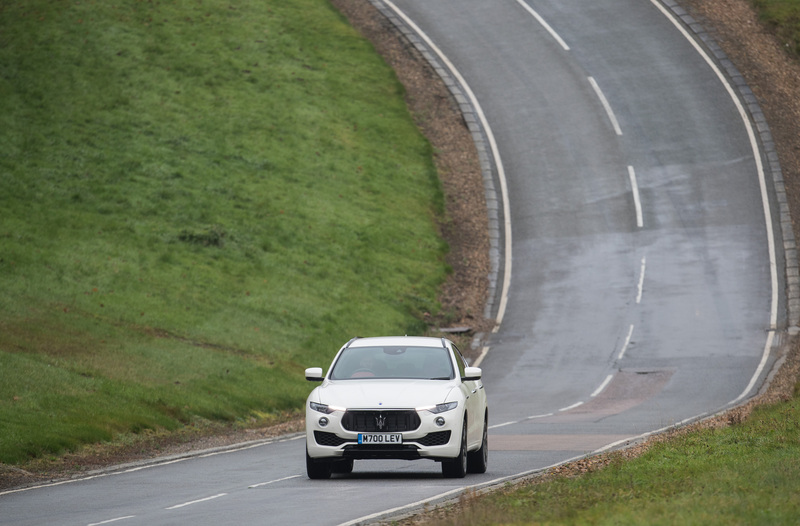 We recently drove the entire Levante range on a test day at Millbrook. The diesel, which is the model that’s been around since the vehicle was first launched, was earmarked for off-road duties, and it did it with very little fuss. Naturally, there’s plenty of electronics making sure that’s the case, with the Hill Descent Control a standout feature that impresses, even on ridiculous gradients. The transmission delivers rear- wheel drive in ordinary conditions, but the system can send up to 50% of the engine’s torque to the front in just 150 milliseconds. 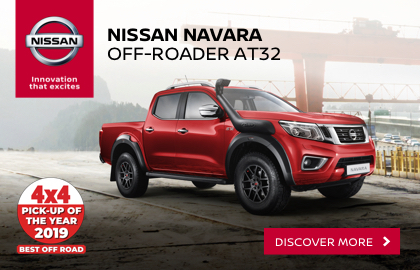 The vehicle also has Adaptive Air Suspension, with a pair of Off-Road modes allowing you to raise its ride height by by 25mm or 40mm, and between all these various technologies it can perform better in the rough than almost anyone will ever discover. 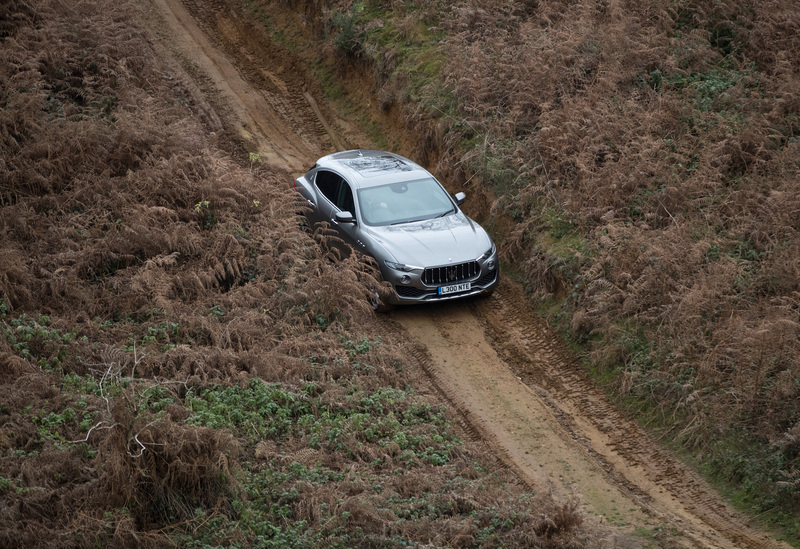 Naturally, the Levante is designed predominantly for the road. 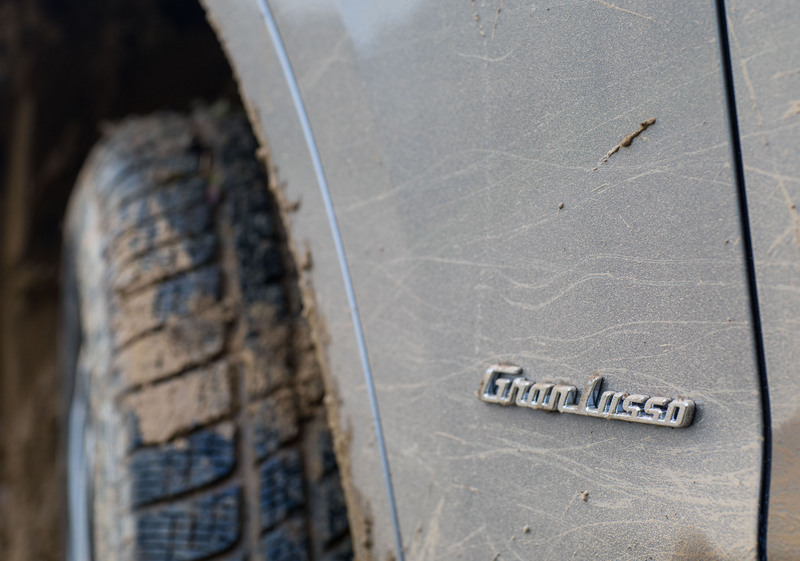 But Maserati is candid about the need for it to have a level of off-road credibility. Which it has. But the real reason for us being at Millbrook was to get a first experience of the newcomer, the petrol-engined Levante S.
This uses a 3.0 twin-turbo V6 designed and manufactured by Ferrari, which produces 430bhp.The diesel is nice, but this is gorgeous. It’s like cacio e pepe instead of spag bol; Pavarotti instead of Vasco Campagnano; Andrea Pirlo instead of Paolo ‘I was in charge at Swindon Town once’ Di Canio. Around the Alpine Track at Millbrook, everything starts to add up. 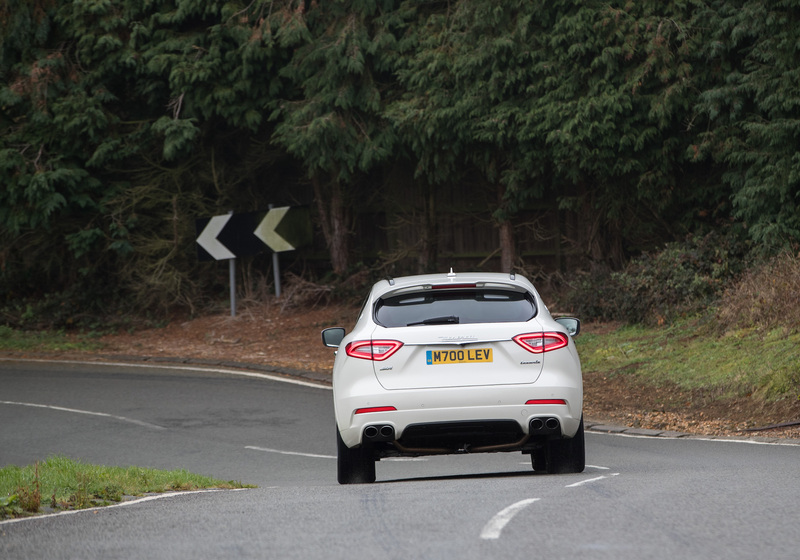 The Levante is still a hefty thing, but it manages to disguise its weight fairly well. It’s helped by two sport settings that can lower ride height by 20mm or a slammed 35mm. In Sport mode, the exhaust valves open up and you can expose yourself to the full opera performance – there’s no fake ’sound symposer’ acoustics being channelled through the delightful Bower and Wilkins stereo, either. Even changing gear is an event, with the large brushed-metal paddles gifting you the same sort of sensation you receive when firing a bolt-action rifle.The only downside is that the paddles are column-mounted rather than on the wheel. A personal gripe, perhaps. The engine is a joy to rev, though, even for a turbocharged unit. And while the steering doesn’t serve up as much detail now the 2018 Levante has switched from hydraulic to electronic, there is plenty of information to gather through your buttocks. Switching over to electronic steering was essential for the new Advanced Driving Assistance Systems to work properly. Traffic Sign Recognition, Forward Collision Warning and Lane Keeping Assist (LKA) are just a few of the new aids operating in the background. The latter simply wouldn’t work with a hydraulic steering set-up. 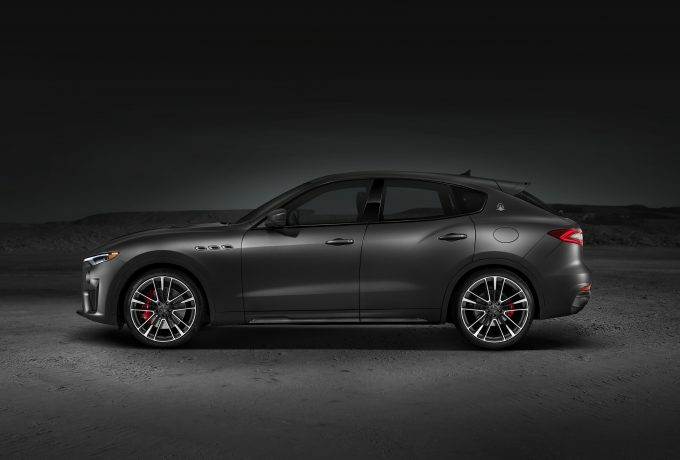 Also new are the two trim levels now available for Maserati customers. If you’re doing what we’d do then for any going for the Levante S, the only choice left is whether you upgrade to the GranSport or GranLusso variant, both of which cost £76,995. The GranSport trim dresses the car with black accents externally, while inside the steering wheel is wrapped in a carbon fibre finish. The alloys are also an inch bigger. 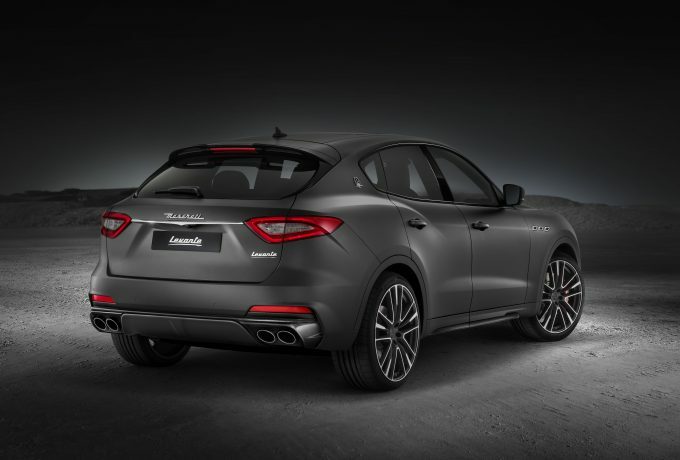 If we were asked to put our own money on one, however, we’d go for the Levante S GranLusso. It’s a classier look, enhancing the Levante’s elegance with metallic highlights, giving a less opposing stance than the GranSport.The wonderful soft-close doors come as standard and in the cabin, Zegna silk fills the inserts of the seats and decorates the door trims. 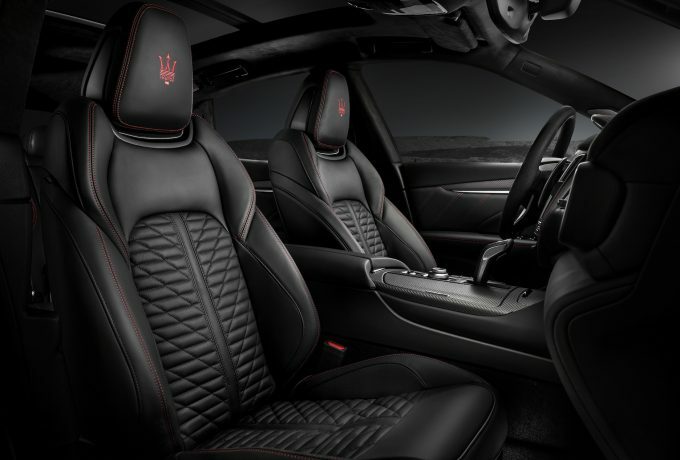 It’s a refreshing break to an all- leather environment and turns the Levante’s interior from a good one into a great one. 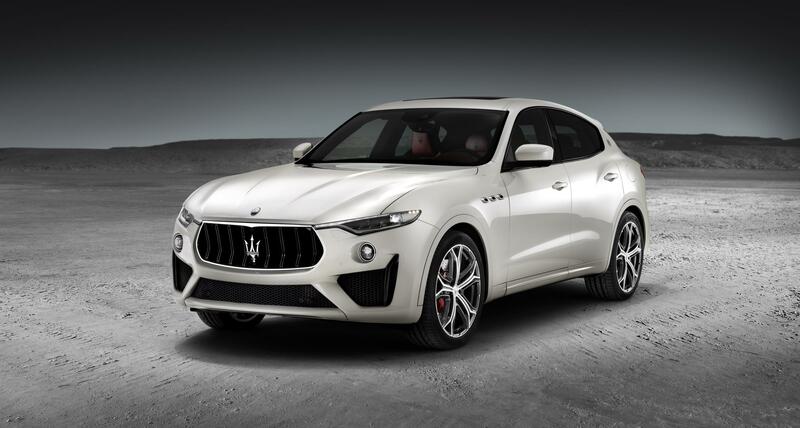 What’s ironic is that Maserati has been rather German about the Levante. They haven’t tried to pretend this is a vehicle that could rock-crawl its way across the Alpi Cusiane. Instead, they’ve gone to great lengths to nail the basics and focus on what it does best – which is bringing a sense of occasion to the everyday driving experience. 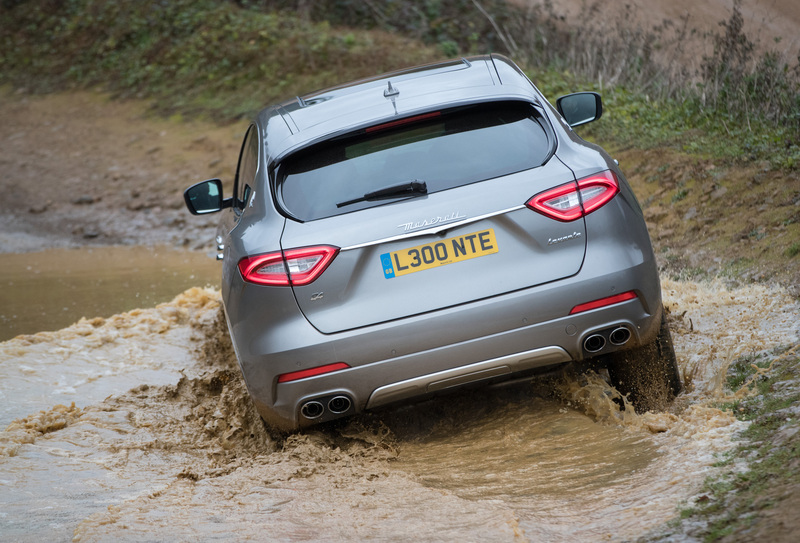 In diesel form, the Levante already did that in its own way – simply by being a Maserati. Now, however, the vehicle has what’s surely the right engine for it. 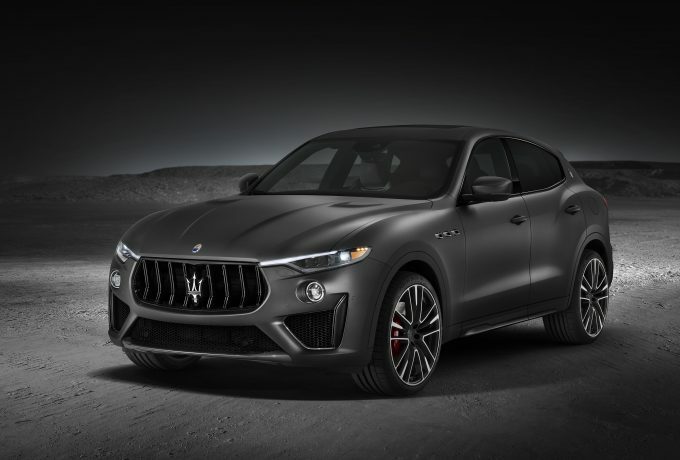 The Levante S brings a wonderful sense of theatre to the 4×4 market – it might be Maserati’s first attempt at creating an SUV, but on this evidence the company has hit the ground running. 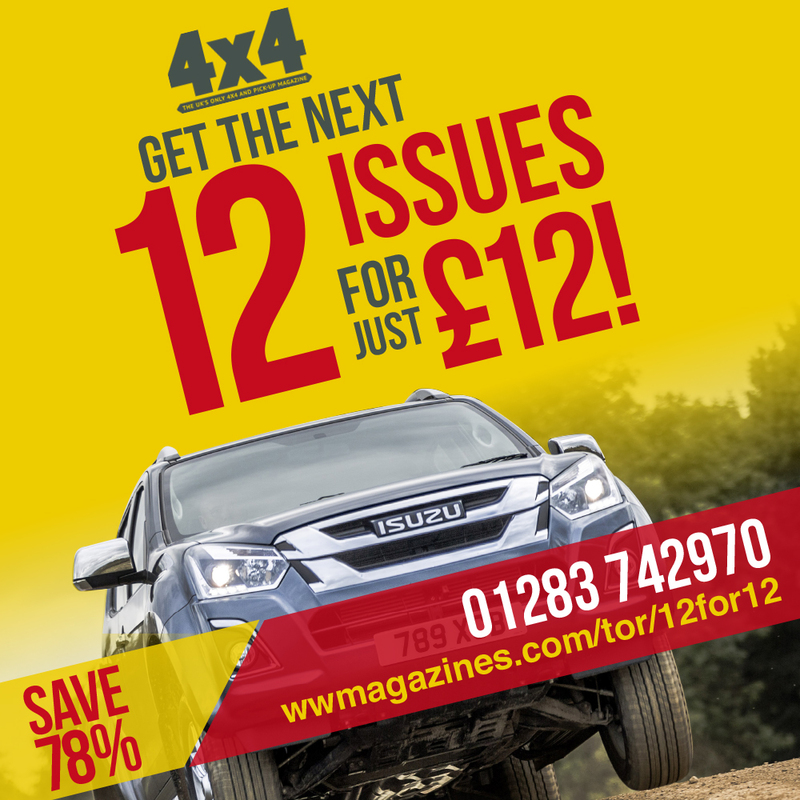 First featured in 4×4 February 2018 issue. SUVs are taking over. You’re now as likely to see a Range Rover at a hillclimb as you are a green lane. As such, there’s some super-hot variations that are expected at Goodwood’s Festival of Speed this year. 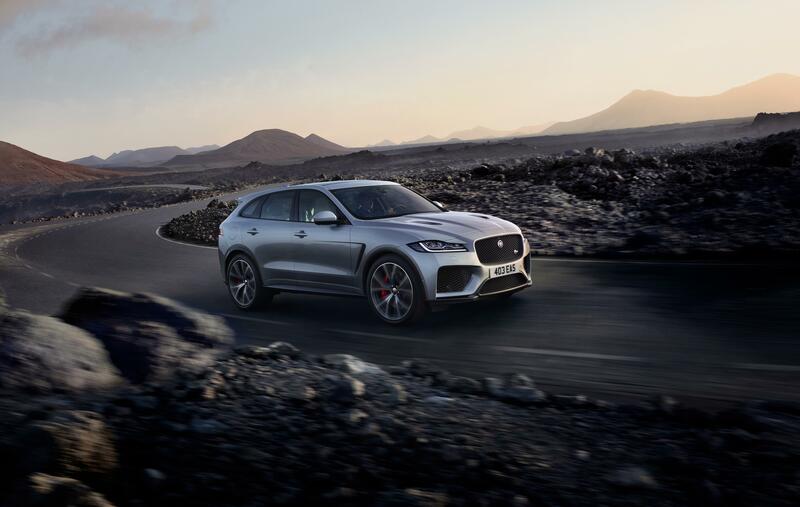 Jaguar’s 542bhp F-Pace SVR will make an appearance at the FOS next week. It will look to utilise its 4.1 0-60 time to lay down the power on the iconic hillclimb, in what will be the model’s active debut after details were released in March. Alfa Romeo’s Stelvio Quadrifoglio will be hitting the hill, too. 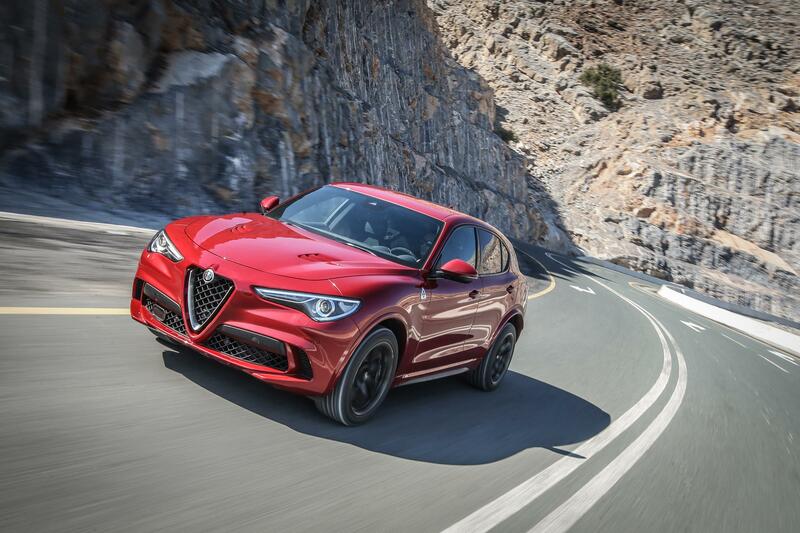 A special edition NRING variant will be there, too, to celebrate the Stelvio’s lap record at the Nurburgring. 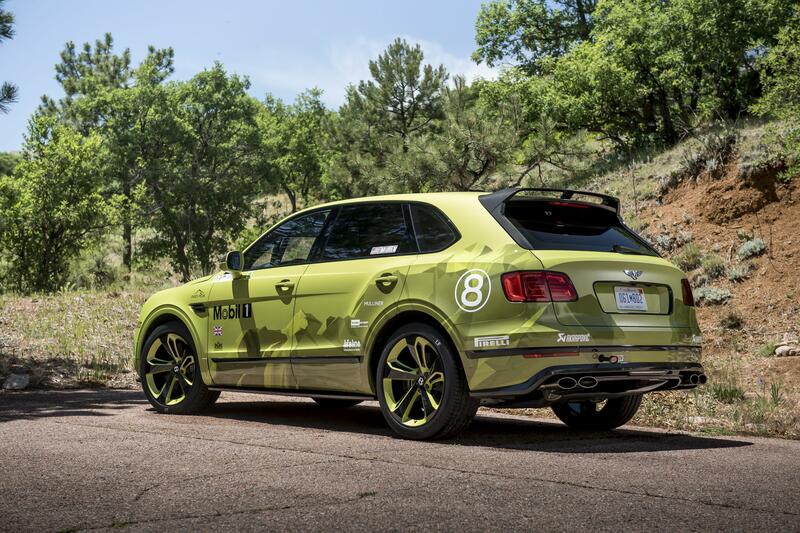 The Pikes Peak Bentayga will appear at the festival too, after setting a record of its own at last month’s Pikes Peak climb in Colorado. 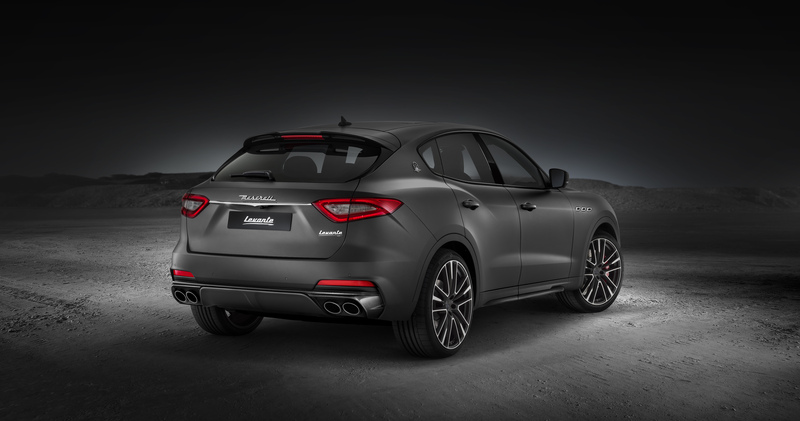 Maserati have chosen the 25th FOS as the destination for the world premiere of the V8 Levante GTS. It boasts 550bhp and 538lbf.ft from the twin turbo, 3.8-litre V8 with four-wheel drive, new wheel designs, as it sits alongside the Levante Trofeo at the top of the model range, which also makes its European debut. Land Rover is 70 this year. Or so I’ve heard. They’re also descending on Goodwood with a fleet of vehicles from every year of their history. There will be vehicles from each model line, special editions and a healthy dose of public service vehicles from over the years. 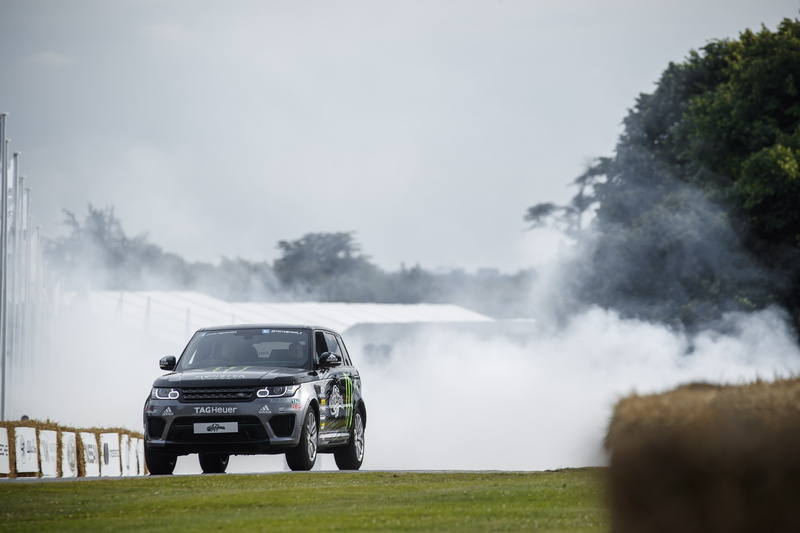 Other aspects of the Land Rover presence include a record attempt including stunt driver Terry Grant and a Range Rover Sport SVR; electric Defenders for children; a challenging obstacle course for visitors to attempt and the Defender Works V8 will take to the hill. 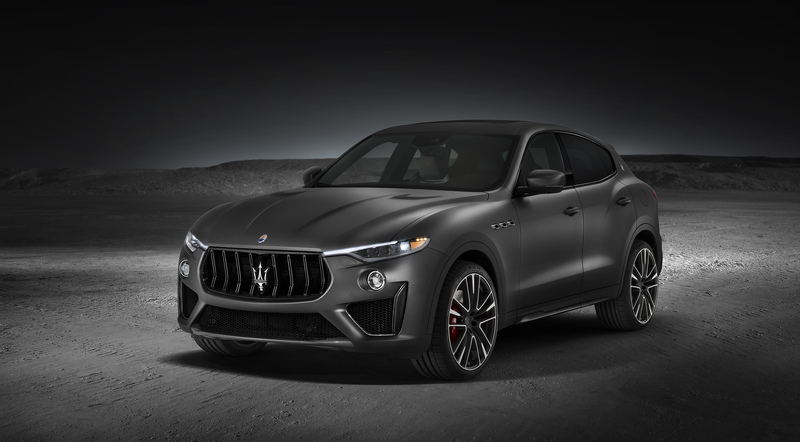 The luxury SUV class has a new sporty option, as Maserati reveal the Levante Trofeo at the New York International Auto Show. 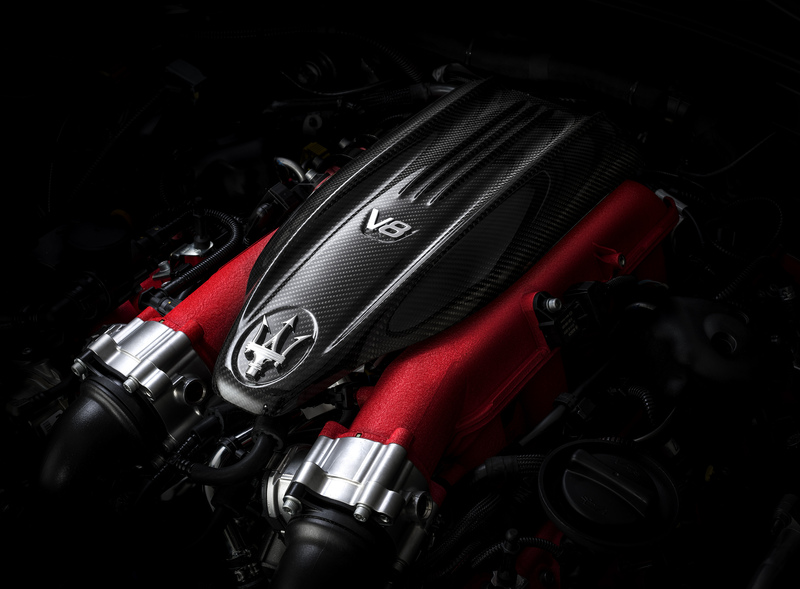 Focused around a twin-turbo V8, the Trofeo is one of the most powerful Maseratis to enter production, producing 590bhp alongside 538lbf.ft. The 3.8-litre unit’s output is lay down via an all-wheel drive system and achieves a 0-60 time of 3.7 seconds and a top speed of 187mph. 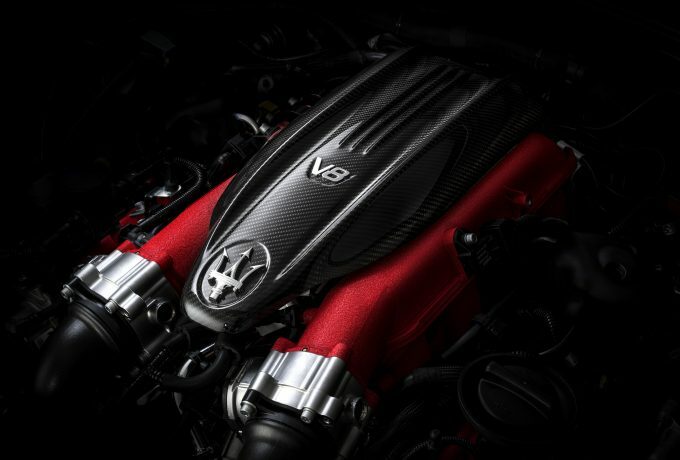 The engine boasts the highest bhp per litre figures of any Maserati ever (156bhp per litre), and to cope with the wrath of the V8 the chassis has been adapted. It won’t surprise you to read that the Levante Trofeo has a Corsa (Race) mode installed alongside launch control. 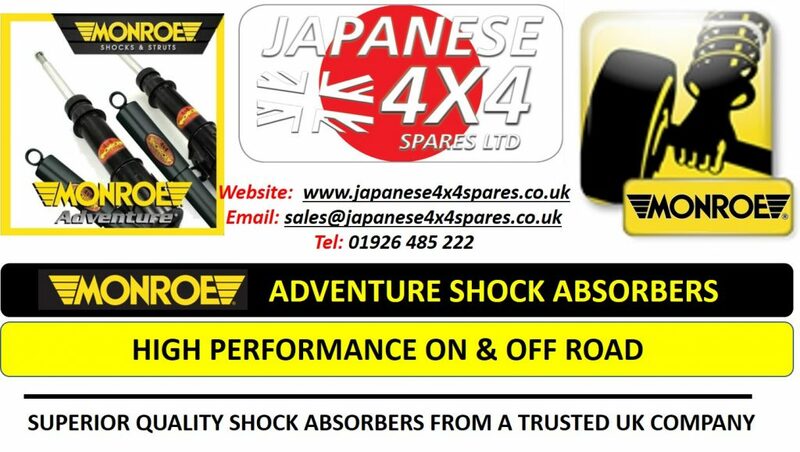 Perfect for a spot of green laning. 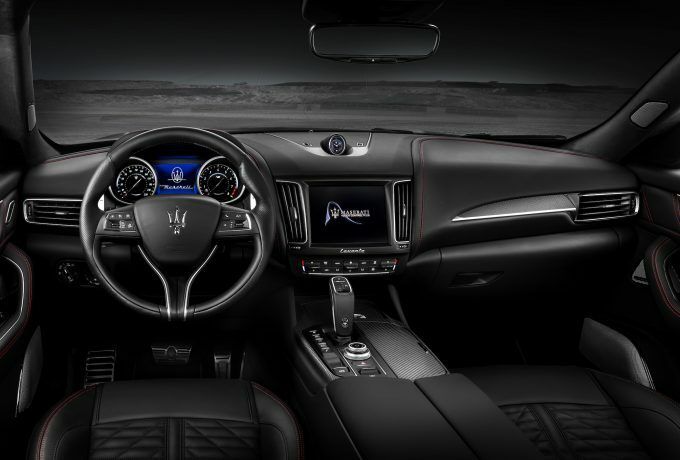 An SUV load of additions add to the luxury of the Trofeo, including 22″ alloy wheels, carbon fibre exterior design cues, full LED headlights and sports seats wrapped in natural leather. 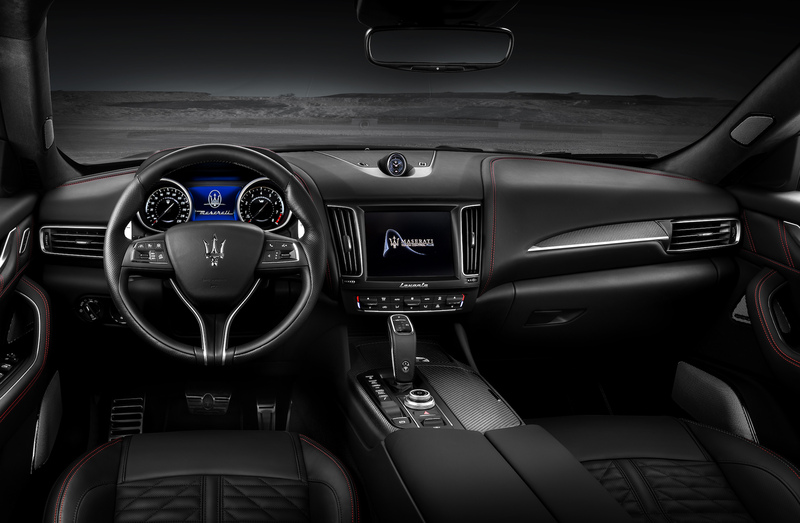 The sound system has 17 speakers good for 1280-watts, whilst the rest of the interior gets a new matte carbon fibre trim. 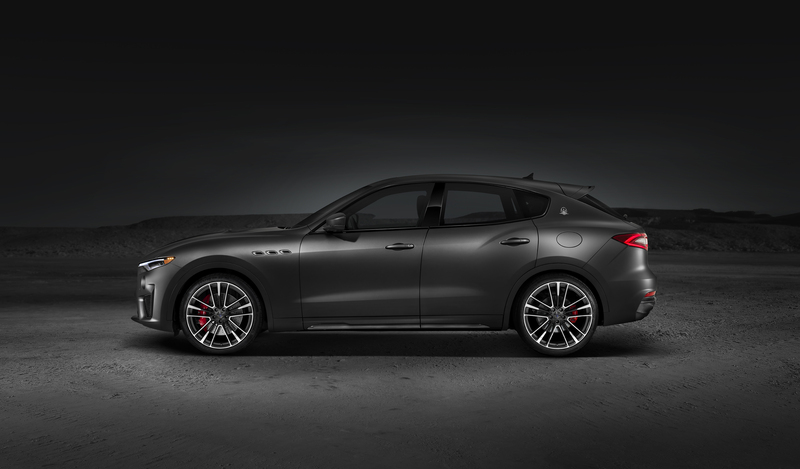 The Levante Trofeo launch edition is a ‘limited series intended for select enthusiasts‘… in North America and Canada. Well, I didn’t want one anyway.